choice for registering sport-bred Friesian crosses. breeding practices and registration guidelines. best of both worlds, a true Friesian Sporthorse. The Friesian Sporthorse Association will provide breeding guidelines, record keeping, support, encouragement, and a "home" for those who are breeders and owners of true Friesian Sporthorses. The Friesian Sporthorse Association will stay free of politics. All aspects of the registry will be handled with fairness and integrity. 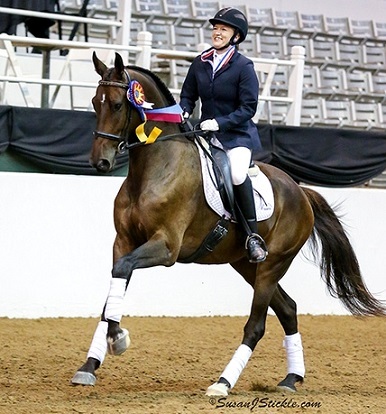 The FSA is run by a Board made up of a diverse group of members representing decades of experience with Warmbloods, Sporthorses, and/or Friesians. The board members have extensive backgrounds, knowledge, and experience with one or more of the following: Warmblood and Sporthorse breeding, Friesian breeding, and/or the sporting disciplines of dressage, driving, eventing, and hunter/jumper. This enables us to handle issues in a fair and balanced way, free of politics and self-interest, and with the best interests of the Friesian Sporthorse always as our priority. The popularity of Friesian crossbreeding led to rampant growth. Unfortunately, during the early years of this unchecked popularity explosion, not much existed to educate, guide, encourage, or support breeders or owners. As people continued experimentally crossbreeding Friesians, some began to breed Friesian crossbreds specifically for sport, and these quality horses began to set themselves apart from the other Friesian crossbreds. They began attracting attention from people who were interested specifically in these sport-bred Friesian crosses, which would come to be known as Friesian Sporthorses. However, there was no system or registry in place specifically for these breeders, owners, or their specially sport-bred Friesian crosses. The Friesian Sporthorse Association was developed to fill this void -- providing breeding guidelines, record keeping, support, encouragement, and a “home” for those who breed, own, and enjoy Friesian Sporthorses. As a breed, the Friesian Sporthorse has a great deal of potential. The goal of the Friesian Sporthorse Association is to encourage, document, and maximize that potential -- offering a legitimate, reputable registry option for Friesian Sporthorses worldwide. These horses tend to inherit the friendly, people-oriented personalities and level-headed temperaments purebred Friesians are famous for, making them a popular choice for amateurs as well as professionals. It is recommended that only horses with good interior qualities (temperament and trainability) be used for breeding. 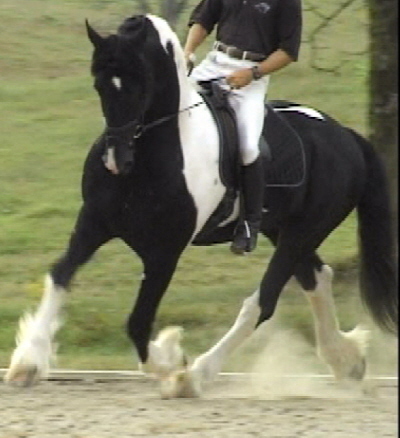 Friesian Sporthorses may be presented in the more traditional manner of Friesians, with long manes and feathers; or they may be presented in the more traditional sport manner, with shortened and braided manes and trimmed feathers. It is entirely a matter of preference, as each is equally correct for a Friesian Sporthorse.